May we answer any questions? 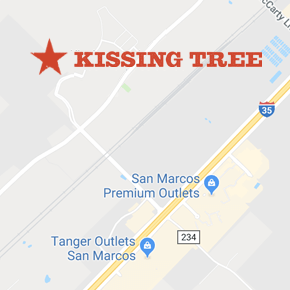 Whether you’d like to set an appointment or would like more details about Kissing Tree, our New Home Specialists are available to assist you. Simply fill out the form or give us a call and we’ll be in touch shortly. We can’t wait to hear from you! What's your favorite way to spend your weekend? Select One:Going out for great food & great drinksCozying up to a good bookHitting the town and seeing some live music!Nature lover here. Just get me outdoors...Hosting friends & family. A full home is a happy home!